Bisphosphonates (both oral and intravenous) are used to manage osteoporosis as well as certain types of cancers. These compounds are potent inhibitors of osteoclastic-mediated bone resorption. Therefore, physiologic bone resorption and remodeling are severely compromised in patients receiving bisphosphonate therapy. Additionally, bisphosphonates have antiangiogenic properties and may be directly tumoricidal, making them an important agent in cancer therapy. All bisphosphonate compounds accumulate over extended periods of time in mineralized bone matrix. Depending on the duration of the treatment and the specific bisphosphonate prescribed, the drug may remain in the body for years. The efficacy of these agents in reducing bone pain, hypercalcemia, and skeletal complications has been extensively documented in patients with metastatic breast cancer and multiple myeloma, and other tumors that metastasize to bone. Bisphosphonates are also widely used for the treatment of postmenopausal osteoporosis and glucocorticoid-induced osteoporosis. Bisphosphonates can increase bone mineral density resulting in a decreased incidence of skeletal complications associated with osteoporosis. There are a variety of bisphosphonates approved for clinical use in the United States (Table below). The potent intravenous bisphosphonates, pamidronate (Aredia; Novartis Pharmaceutical corp) are typically administered monthly in patients with metastatic bone disease. Except for ibandronate (Boniva; Hoffmann-LaRoche), all of the other bisphosphonates approved for the treatment of osteoporosis are used orally on a daily or weekly schedule. In recent years, rare cases of osteonecrosis of the jaw (ONJ) have been reported with the use of bisphosphonates. ONJ is a condition in which the jaw bone spontaneously undergoes necrosis. Possible ONJ symptoms may include: irregular sores with exposed jaw bone, infection (possibly purulent), pain or swelling in the infected jaw, and altered sensation such as numbness or heavy feeling in the jaw. Patients receiving treatment with these medications have been found to be at risk of experiencing delayed healing and spontaneous soft tissue breakdown leading to intraoral bone exposure after extraction, dental implant surgery, and other oral surgical procedures. The appearance of bisphosphonate associated osteonecrosis is identical to the appearance of osteoradionecrosis in patients who develop it after undergoing head and neck irradiation. Bisphosphonates are used to treat osteoporosis, paget’s disease of bone and hypercalcemia of malignancy. In patients with osteoporosis, it is expected that bisphosphonates will arrest bone loss and increase bone density, decreasing the risk of pathologic fracture resulting from progressive bone loss. Bisphosphonates are given to patients with cancer to help control bone loss resulting from metastatic skeletal lesions. They reduce skeletal related events associated with multiple myeloma (such as fractures) and metastatic solid tumors (such as breast, lung and prostate cancers) in the bone. The physician’s decision regarding which type of bisphosphonate to use depends on the type of medical condition being treated and the potency of the drug required. For example, orally administered bisphosphonates are often used in patients with osteoporosis, while the injectable bisphosphonates are used in patients with cancer who develop primary lesions of bone or skeletal metastasis. Bone remodeling is a physiologic function that occurs in normal bone. It removes microdamage and replaces damaged bone with new bone (very similar to what happens when old skin is replaced by new skin). This function takes place within small compartments in the bone. These units are composed of osteoblasts (bone-producing cells) and osteoclasts (bone-resorbing cells). Bisphosphonates bind to bone and incorporate in the osseous matrix. During bone remodeling, the drug is taken up by osteoclasts and internalized in the cell body, where it inhibits osteoclastic function, inhibiting bone resorption. As a result, bone remodeling and turnover becomes profoundly suppressed and, over time, the bone show little physiologic remodeling. The bone becomes brittle and unable to repair physiologic microfractures that occur in the human skeleton with daily activity. In the oral cavity, the jaw bone is subject to constant stress from chewing forces. Thus, it is expected that physiologic microdamage and microfractures occur daily in the jaw. It is theorized that in a patient taking a bisphosphonate, the resulting microdamage is not repaired, setting the stage for oral osteonecrosis to occur. To explain this in summary, bisphosphonates, alone or in association with a jaw surgery such as dental implant placement or tooth extraction, may lead to bone necrosis. Sequence of events would include the decrease in bone resorption, leading to decreased bone remodeling which may cause necrosis of the bone. 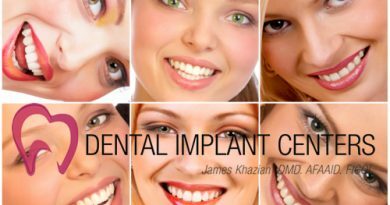 The need for repair and remodeling is increased greatly when patient undergoes jaw surgery such as tooth extraction or dental implant placement. In rare cases when patient is using bisphosphonates, the bone is unable to meet these increased needs, which results in bone necrosis (osteonecrosis). Patients receiving bisphosphonates intravenously clearly are more susceptible to this kind of osteonecrosis than are those receiving the drug orally. Other factors making the patient more susceptible to osteonecrosis of the jaw (ONJ) include systemic conditions such as presence of diabetes mellitus, overall tumor burden and stage of disease, extent of skeletal involvement, the patient’s overall systemic health, the degree of immunosuppression, the patient’s history of stem cell transplantation, and the patient’s current and historical use of other medications such as chemotherapeutic agents or corticosteroids. Others demonstrating more susceptibility to ONJ are patients with multiple myeloma who are treated with other antiangiogenic agents such as thalidomide, glucocorticoids and bortezomib. Local comorbid factors include oral health status, presence of infection, history of radiation therapy and the presence of myeloma or metastatic cancer at the necrosis site. Recently, cases of ONJ have been reported in the medical and dental literature describing patients with various types of cancer receiving intravenous bisphosphonates to control and treat metastatic bone disease. The patients used pamidronate and zoledronic acid. Additionally, similar cases have been reported in patients taking oral doses of aledronate to treat osteoporosis. The use of bisphosphonates seemed to be the only common link in all cases reported. The most common clinical history associated with these cases is absence or delayed healing of hard/soft tissue after extractions or dental implant placement. Trauma induced by dentures has also been implicated in the initiation of this pathological condition. In the early stages of ONJ, no radiographic manifestations can be seen. Patients are usually asymptomatic but may develop severe pain because of the necrotic bone becoming infected secondarily after it is exposed to the oral environment. The osteonecrosis often is progressive and may lead to extensive areas of bony exposure. When tissues are acutely infected, patients may complain of severe pain and lack of sensory sensation (paresthesia). Although several cases of osteonecrosis of the jaw (ONJ) have been reported, there have been no documented uniform treatment strategies that would result in a consistent healing of ONJ. In fact, many cases had poor outcomes in spite of therapy, progressing to extensive exposure of bony structures. Treatment strategies include local surgical debridement, bone curettage, local irrigation with antibiotics and hyperbaric oxygen therapy. However none of these therapeutic modalities has been successful. Therefore in patients who are receiving or have received bisphosphonates for the management of cancer or to treat or prevent osteoporosis, prevention of this condition is of paramount importance. Preventive measures: ONJ is a newly documented oral complication, and consistently effective therapeutic measures have not been identified. Several treatment protocols have been attempted to treat ONJ. Treatment methods included minor debridement under local anesthesia, major surgical sequestrectomies, marginal and mandibular resections, partial and complete maxillectomies and hyperbaric oxygen therapy. Despite the presence of vascularized bone at the surgical margin, no healing has been reported. For this reason, preventive measures are of paramount importance. 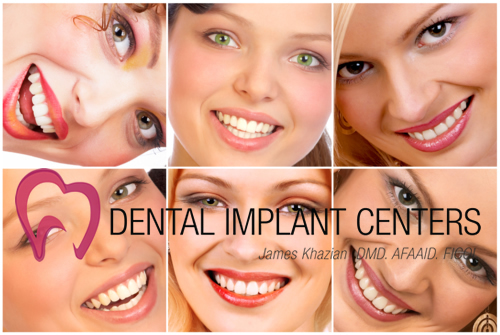 A comprehensive extraoral and intraoral examination should be performed. A full mouth radiographic series and a panoramic radiograph will help in the diagnosis of caries and periodontal disease, the evaluation of third molars and the identification of metastatic cancer and other bony lesions. The periodontal health status should be determined and appropriate therapy provided. Pocket elimination is of importance to reduce plaque accumulation, minimize chronic periodontal inflammation and minimize acute periodontal infections. Necessary extractions should be completed and healing attained prior to bisphosphonate therapy. Restorative dentistry should be performed to eliminate caries and defective restorations. Dentures should be evaluated for fit, stability and occlusion. Prophylaxis should be performed and oral hygiene instructions given. The patient should be educated about bisphosphonates and osteonecrosis of the jaw (ONJ). Periodic oral examination and regular hygiene protocol should be scheduled to maintain healthy oral condition during the course of bisphosphonate therapy. Treatment of established ONJ: The goals of therapy in those patients with established ONJ are to eliminate pain and infection and minimize the progression of necrosis. Most patients with limited areas limited areas of exposed bone that are asymptomatic can be managed with irrigation alone and close follow-up. Patients with symptomatic areas of exposed bone that are infected will require oral antibiotic rinses and oral antibiotic therapy for pain relief and infection control. Areas of necrotic bone that are constant source of soft tissue irritation should be removed without exposing additional bone. However, it is likely that the margin of the debridement will remain exposed. Symptomatic patients with large areas of infected necrotic bone or with pathologic mandibular fractures require surgical resection. Discontinuation of IV bisphosphonates offers no short term benefit. However, if systemic conditions permit, long-term discontinuation may be beneficial in stabilizing established sites of ONJ, reducing the risk of new site development and reducing clinical symptoms. Following are recommendations for the management of the dental care of patients with osteonecrosis of the jaw (ONJ). Routine restorative care may be provided. Local anesthetic can be used as necessary. Scaling and prophylaxis should be done as atraumatically as possible, with gentle soft tissue management. Avoid dental extractions, dental implant surgery, and other dental surgery if possible unless the teeth have a mobility score of 3 or greater. Extractions should be performed as atraumatically as possible. Patients should be followed up weekly for the first 4 weeks, then monthly, until the sockets are completely closed and healed. If there is an indication for antibiotic use, amoxicillin alone or in combination with clindamycin, may help to reduce the incidence of local infection. Teeth that are extensively carious should be considered for endodontic therapy rather than extraction. If feasible, they should be prepared as overdenture abutments. The crown should be cut off at the gingival margin. This is particularly important in patients in whom a previous extraction had resulted in ONJ. In these patients, extraction should be avoided whenever possible.